We have a winner and this contest has been closed. Congratulations to Mrs. Polston! Please email me the information of which style/grade/color/size tshirt you would like for winning at krissyldavis@hotmail.com. you can still go shopping at teachershirts.com and use the Coupon code MINER20 to take 20% off any order $40 or more for a limited time. I love teaching kindergarten: I love that it isn't easy and there are daily challenges. I love that I am changing and shaping lives every second we are in there. I love that kindergarten is such a long word with so many syllables and letters to play with. And now, thanks to Teachershirts.com, I can shout it from the rooftops EVERY day of the week if I wanted to. They have teacher shirts for every grade level as well as for teaching specialists that allow you to share with the world that you are a teacher and a proud one at that. Prefer to be a little more subtle? How about this design: ? These shirts are perfect to wear with jeans on casual Fridays or "dress up" a bit with khakis or capris. Guess what? Teachershirts.com has offerred my readers a chance to win a shirt of their choice! I know I would have a really hard time deciding, they are just all so full of fun and glitz and glam (very representative of teaching, wouldn't ya say??). They have great deals on shipping: the more you buy, the less shipping is. Get your team together and pick matching shirts (maybe the same shirt, all in different colors, huh? You like that idea??) and purchase together so you can all show your pride of your job AND as a part of a team on the same day! I will make this easy for you to enter. 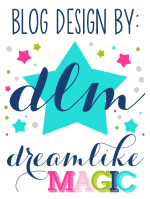 Follow my blog (by clicking on follow on the left side bar) and like A+ Images, Inc. on Facebook (if you are on there- if not, you can still enter by visiting their website Teacher Shirts). Leave your email address as well so I can contact you when you win! Extra entries can be had if you link contest to your Facebook page or blog about the contest! I want to share this awesome opportunity with as many primary educators as I can! Be sure to follow Mrs. Miner's Kindergarten Monkey Business or LIKE it on Facebook (both available in left sidebar) so you never miss another FREEBIE or informative article. You can also go the top of my page and click the heading to find other freebies and ideas. Love these shirts!! I follow your blog and like A+ Images on Facebook. Would love to win one of these fabulous shirts! These shirts are too cute! I follow you and like them on facebook! I follow your blog and liked A+ Images, Inc. on Facebook! Did Both! I would love to win!! I put the link to your contest on my Facebook page! I already follow you and like both you and A+ on Facebook. I really love their stuff. Thanks for the info! I also posted this on my FB page. Sharing and liking A+. Love the shirts! Stop by and check out my little humble blog! I am a follower and have liked A+ images on facebook. I follow you and liked A+ images on FB. I shared it on my FB page! OOps I forgot to leave my email on my first comment. But I also shared your link on my facebook. How cute are these shirts? I follow A+ Images and you on Facebook. I already follow you and now I like A+ Images on FB! Krissy Thanks for another great idea and contest. Already follow you and liked them on FB! I follow your blog and liked A+ images on Facebook. I also liked A+ on FB! I just shared on twitter and facebook! I am a follower. I love their shirts and your blog/fb pages!!!! I am a new follower and I liked A+ Images on Facebook! Just shared on my FB page!! And I shared about your giveaway on my FB page! I liked them and am following you. I like A+ Images on Facebook! I Followed your blog and liked A+ on Facebook! I follow your blog and like A+ on facebook! Hi! I just liked you on Facebook. I follow you on fb and would love a new shirt for a new grade. Moving to kinder after 10 years in 2nd!!! I love the Vertical Kindergarten with the pink bling. I am a follower of your AWESOME blog. Thank you for sharing all of your incredible work! I follow your blog and like A+ on Fb. I have followed you for some time and now have liked A+ on Facebook. I love your blog and on facebook and on Twitter! You have great ideas!. I also like A+ on fb.